Recently, top-tier autoimmunity researchers described vaccine safety science as a “hazardous occupation.” In their view, this is because uncompromising vaccine proponents are instantly ready to mount vociferous personal attacks on anyone who raises questions about any aspect of vaccine safety, even if the questions are buttressed by impeccable, high-quality science. Vaccine safety was not always such a taboo topic. In 1961, a leading polio researcher put forth the view in Science that “even after licensing, a new vaccine product must be considered to be on trial” because of the many “new variables” that accompany large-scale vaccine production and rollout. …the technology used to make these vaccines actually exceeds the science and technology to understand how these vaccines work and to predict how they will work,” stated Dr. Peter Patriarca, MD. 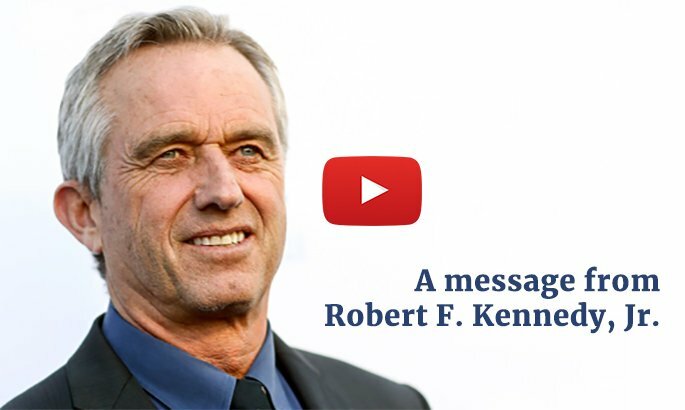 In the two decades since the FDA official’s prescient words of warning, numerous published studies have highlighted vaccine safety concerns that were either unexplored or neglected prior to the introduction of the vaccines in question. Troubling issues have included the presence of adventitious agents and contaminants in vaccines and the rise of new allergies associated with synthetic vaccines. Studies also highlight major gaps in the methods, protocols and timelines used to assess vaccine safety. The checkered history of rotavirus vaccines in the U.S. confirms the vital need for new vaccines to remain “on trial” after their launch in the general population. In 1998, the U.S. government licensed the first rotavirus vaccine, RotaShield, a tetravalent live-attenuated vaccine that used a genetically engineered rhesus monkey rotavirus along with three rhesus-human reassortant viruses. Other rhesus-based rotavirus vaccines previously had “failed to prove safe for administration in infants.” According to a detailed account of RotaShield in the Milbank Quarterly, the vaccine’s manufacturer, Wyeth, bragged about the vaccine as one of its “new, breakthrough therapies” and expressed the hope of establishing a large, profitable market in the U.S. as a prelude to marketing RotaShield in developing countries. …reports to the Vaccine Adverse Events Reporting System (VAERS) pointed to a substantially increased risk of bowel intussusception, a potentially fatal (though usually rare) condition involving intestinal enfolding and obstruction. Despite the initial optimism, Wyeth had to commercially withdraw RotaShield one year later, when reports to the Vaccine Adverse Events Reporting System (VAERS) pointed to a substantially increased risk of bowel intussusception, a potentially fatal (though usually rare) condition involving intestinal enfolding and obstruction. For infants in their first year of life, intussusception risks increased 20 to 30 times within two weeks of receiving the first dose of RotaShield. Two new genetically engineered oral rotavirus vaccines entered the vaccine marketplace in 2006 and 2008, respectively: RotaTeq, a pentavalent (five-strain) bovine-human reassortant rotavirus vaccine made by Merck, and Rotarix, a live-attenuated single-human-strain rotavirus vaccine manufactured by GlaxoSmithKline (GSK). Although pre-licensure trials found no evidence of an association between the two vaccines and intussusception, post-licensure monitoring later indicated a statistically significant increased risk of intussusception events for all rotavirus vaccines. Unlike with RotaShield, FDA merely instructed Merck, in 2013, and GSK, in 2014, to update their labeling and prescribing information to include brief statements about increased intussusception risks but otherwise allowed the two vaccines to remain on the market. …the researchers discovered that RotaTeq and Rotarix were contaminated with DNA from two porcine circoviruses—PCV1 (in Rotarix) and both PCV1 and PCV2 (in RotaTeq). Both GSK and Merck later confirmed these findings. The PCV2 pathogen is associated with severe wasting and immunodeficiency in pigs. Meanwhile, the much-vaunted industry and governmental safety systems that ushered the two rotavirus vaccines to market failed to detect an additional and highly concerning problem, which an academic research team “unexpectedly” identified in 2010. While conducting “a novel, highly sensitive analysis not routinely used for adventitious agent screening,” the researchers discovered that RotaTeq and Rotarix were contaminated with DNA from two porcine circoviruses—PCV1 (in Rotarix) and both PCV1 and PCV2 (in RotaTeq). Both GSK and Merck later confirmed these findings. The PCV2 pathogen is associated with severe wasting and immunodeficiency in pigs. Although the short- and long-term dangers from PCV1 and PCV2 are as yet unknown, the pioneers of genetic engineering foresaw horizontal gene transfer—the direct uptake and incorporation of genetic material from unrelated species—as a clear risk of genetically engineered vaccines. Unlike chemical pollutants, nucleic acids are infectious and can invade cells and genomes, multiplying, mutating and recombining indefinitely. Potential hazards of horizontal gene transfer include generation of new disease-causing viruses and bacteria (or reactivation of dormant viruses); spread of drug and antibiotic resistance genes among viral and bacterial pathogens; and random insertion into genomes of cells resulting in cancer. If this contamination had been discovered prior to licensure of the rotavirus vaccines, FDA would not have licensed the vaccines—why should it be any different now? At issue, in the example of RotaTeq and Rotarix, are the dangers of incorporation of adventitious PCV contaminants from live rotavirus vaccines into the human host or host-related bacteria (such as the gut flora)—dangers unrecognized and, therefore, unexplored before the two vaccines went to market. There is also additional cause for concern based on research demonstrating that the pathogenic potential of PCV2 to cause an AIDS-like disease in pigs is unleashed when there is simultaneous vaccine-induced immune system activation. In light of this research, the current recommendation to administer PCV2-contaminated rotavirus vaccine along with five other vaccines—hepatitis B (HepB), diphtheria-tetanus-acellular pertussis (DTaP), Haemophilus influenzae type b (Hib), pneumococcal conjugate (PCV) and inactivated poliovirus (IPV)—represents a high-risk scenario for disease in humans. If the contamination had been discovered prior to licensure of the rotavirus vaccines, FDA would not have licensed the vaccines—why should it be any different now? Can the assertion that the benefits outweigh the risks be taken at face value? Consider the history of the oral polio vaccine, which has used seed stocks contaminated with multiple strains of simian virus 40 (SV40) for over four decades. SV40 has been detected in the brains of deceased cancer patients who received the oral polio vaccine, and a 2002 Institute of Medicine report cited strong biological evidence that SV40 can transform normal cells into malignant cells. Whether the porcine circovirus contamination that afflicts the two current—and highly engineered—rotavirus vaccines will turn out to have insidious long-term health effects remains an unanswered question. Nonetheless, history indicates that we should not be surprised when novel and difficult-to-control vaccine technologies generate unforeseen outcomes.